At some point during a job interview, you'll probably be asked whether you have any questions. Interviewers expect that you will—about the company, the group you'd be working with, and the job that you're interviewing for. It might indicate to the interviewer that you're not prepared for the meeting if you don't have any, or that you're really not that interested in the position. You'll need questions, although which you'll ask can depend on the tone of the interview as well as the position of interviewer within the company and the type of company you're applying to. There's something in this for you, too. You'll want to know what you're getting into if you're offered and accept the job. In this respect, you're actually interviewing the company. Steer clear of questions that require no more than a "yes" or "no" answer. Yes or no probably won't tell you much. By the same token, you do want your questions to be specific. Don't leave them open to too much interpretation. 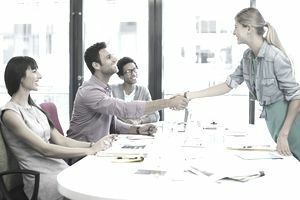 You don’t want to bombard the interviewer with dozens of questions, but you do want to come away with an accurate picture of the position, as well as the company and group culture. What is your vision for your department over the next two to three years? What makes your company better than your competitors? What can you tell me about the other people in the organization I would be working with? What are the most important skills and attributes you're looking for in filling this position? What do you consider to be your company's greatest strengths and weaknesses? Does the company support you in training and how? What's the most challenging aspect of this position? What "round" of funding is the company on? What kinds of investors does the company have? What is their current financial status? Are they showing a profit yet? If not, how big are their losses? How, and when, do they expect to become profitable? What is the top management's experience and track record? Have they successfully led a startup before? What benefits do they offer? You'll want to know if there's any kind of retirement plan in place, and if the company matches any contributions. What about health insurance? Startup companies are a different breed. They can be riskier than more established companies, but they can also offer greater financial rewards and give you an opportunity to make an impact on a product and a company. Startups are usually a closely-knit group. Employees are asked to wear many hats and they tend to work very long hours. Questions you might want to ask startup companies focus on the financial stability of the company, as well as the quality of life the employees enjoy. Always ask if it's okay to follow up with the company later if you have further questions. This is an excellent time to ask for a business card, which will also allow you to send each interviewer a thank you letter after the interviews are over.